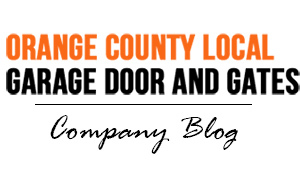 OC Local Garage Doors and Gates is one of the leading providers of automatic garage door repairs for residents of Orange and surrounding areas. Our technicians are licensed, insured, and bonded so you know you can trust our quality artisan-ship. Automatic garage doors over time can break down, often at the worst of times, so that’s why we are available around the clock to take your call. 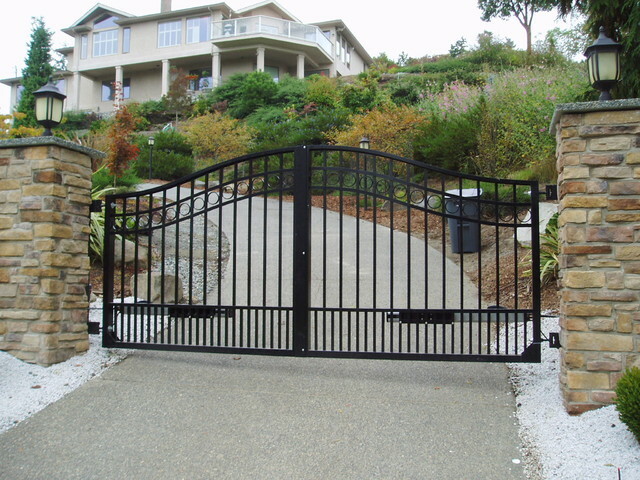 We provide a 24-hour service to repair any automatic garage door, automatic gates, or access controlled gates. With local cities like Irvine being the fourth most populated city in the United States, and 26,693 homes with children under that age of eighteen, it is important to control who comes onto your property and when. Rapid automatic garage door repair is provided 24-7, so you are never have to worry about access control! There are many complications & issues that can arise with automatic garage doors, so we come prepared with all the tools for the worst case scenario to meet our client’s needs and repair any automatic garage door immediately. There are a number of reasons you might need to replace your automatic garage door. These range from faulty mechanics, to a simple case of old age where replacement becomes a wiser investment than repair. 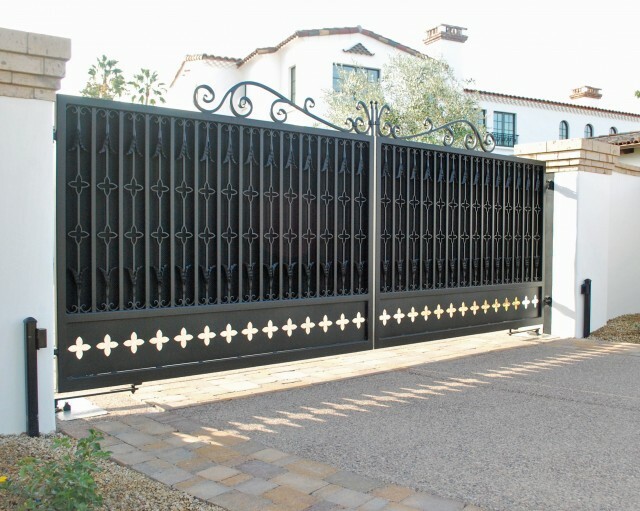 We will examine the different scenarios in which a new garage door is required. - Believe it or not, a broken cable is one of the most dangerous situations that can arise concerning automatic garage doors. A snapped cable can release hundreds of pounds of down force as the automatic garage door slams shut. It is always advised to seek out an automatic garage door repair specialists if you hear any sound out of the ordinary. 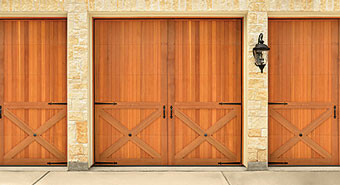 - Over time, busted bearing or unbalanced garage doors can force the garage to run off the tracks. This can be quite a hassle as even the lightest doors can weigh hundreds of pounds, and most of the time the door is stuck in awkward and dangerous positions. Make sure to stay clear of garage doors still suspended in the air, as a catastrophic failure can cause the door to drop, and possibly cause serious bodily injury. - A broken spring is usually caused by over extending the spring beyond recommended manufacture specifications. Too much torsion applied on an older torsion spring can send un-safe metal particles flying all over the place. - Main reason for busted hinges are improper maintenance or overall wear and tear. This can cause unbalanced or dragging, as well as additional wear on the bearings and broken torsion springs. - Sometime improper maintenance or an accident with the automatic garage door can cause the tracks to bend. Bent tracks can be a noisy nuisance or prevent the door from closing all together, leaving your property unsecured and open for thieves. Continuing to use or attempting to repair the automatic garage doors in this type of condition is not advised. - Ball bearings need proper annual maintenance in order to continue to function correctly for the years to come. Lack of lubricant, bent tracks, broken wheels, or broken rollers, can all have a negative effect on the ball bearings in your system. Always use a professional automatic garage door repair company. - A broken pulley is usually related to improper maintenance, a broken cable, or foreign object impeding the cable from its normal functionality. Annual services can prevent or identify potential risks to your automatic garage door functionality. Automatic garage doors make entering and exiting your property so much easier, as long as your automatic garage door continues to function correctly. It is recommended that you maintain the garage door for preventative maintenance annually. 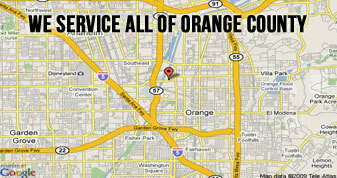 We have been serving the entire county of Orange from Seal Beach to Irvine, and as far south as Ladera Ranch, for over twelve years. Orange County has a crime rate of 132.9 percent, well below the U.S. average of 301.1 percent, but still high enough to concern property owners about having adequate home security. We all know nothing lasts forever, and eventually you are going to have problems. There are many signs that you might have a malfunctioning automatic garage door. Here are twelve troubleshooting tips that can help resolve minor problems with malfunctioning automatic garage doors. Please remember: fixing the automatic garage door by your self is very dangerous and should be done only by a licensed expert. - Many times the cord simply becomes disconnected overtime, due to the vibration of opening and closing the garage door over the years. All you have to do is plug the cord to the operator back in. Locate the automatic garage door operator and make sure the connected cord is still plugged in. - If your automatic garage door is broken or malfunctioning, you might still need to get your vehicle in or out of the malfunctioning automatic garage door. Luckily, most automatic garage doors have emergency release mechanisms built it. On an overhead garage door operator, the emergency release cord is usually red, and hangs near the top of the garage door or left arm. - Oftentimes when you have a malfunctioning automatic garage door, it is import to check if anything is obstructing the ability for the door to operate correctly or efficiently. Sometime objects like rocks, screws, and mud can get lodged in the normal operating areas, which can possibly cause malfunctioning automatic garage doors to occur. - Sometimes damage to the overall structure can cause the automatic garage door to fail. The culprit could be a bend in metal or aluminum, which would prevent normal operation. Depending on the damage it could be a small fix or a much larger problem. If the job is too large, make sure you call a professional to assist you. - Sometimes it can just be that the operator (drive motor) is overheated, and just needs some time to cool down to return to normal operating functionality. Give the operating unit about 15 minutes to cool down before attempting to use the malfunctioning automatic garage doors again. - Sometimes repairing a malfunctioning automatic garage door is as simple as changing the batteries in the controller. You can try switching the batteries in the control unit, or attempt to use the auxiliary button to see if the automatic garage doors are still functional. If the door opens with the controller after you replace the batteries, there is no further need for alarm. If the door does not respond after switching out the batteries, it could be a sign the controller unit is non-operational, and might need to be replaced or reprogrammed. - Sometime you and one of your neighbors could be using the same or similar signal that could be causing interference with your unit. To check if this is the root of the problem, try changing your security code, and check if that resolves the interference. Make sure you change the code for the remote control device and the receiver in order for communication between the devices to be reestablished. - Gravity will always have a negative effect on structures, even your automatic garage doors. 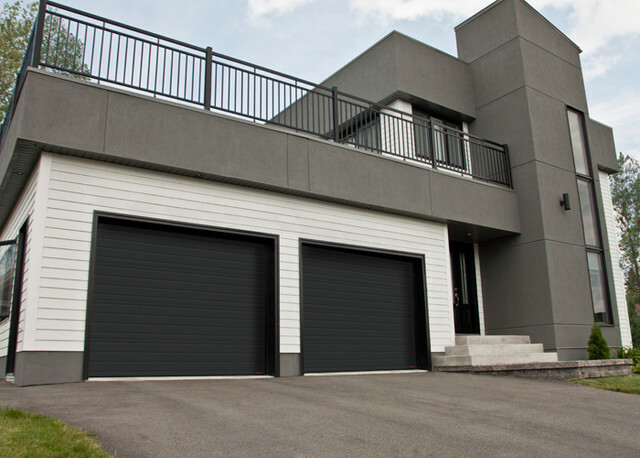 The constant use of your garage door can cause micro vibrations that can affect the header overtime. 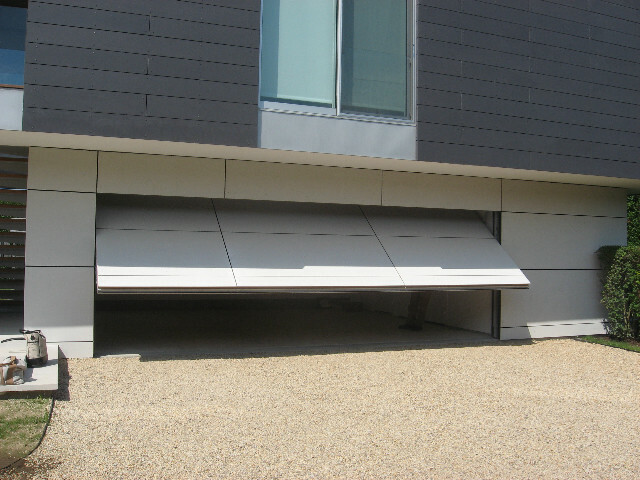 The header could become dislodged or loosened, and impede the normal operation of the automatic garage doors. Check to see if the automatic garage door is coming into contact with the surrounding structures. - A busted belt will prevent the door from opening. To identify a broken drive belt as the root cause of the malfunctioning garage door, test the wireless controller, and listen to hear the drive motor. If you hear it attempting to operate, but the door is not moving, then it could be a drive belt. - Check to see if there are any loose cords or belts which can affect the normal operation of automatic garage doors. If any of the belts seem loose, this could be the reason you are experiencing issues with your garage door. Attempt to tighten the belts if possible and see if that resolves your problem. - If the door starts its normal function, but then reverses automatically, it could be that one of the safety sensors is being tripped, and you need to lower the sensitivity settings. In order to lower the sensitivity, the controller should be located on the automatic garage door operator or on the sensors itself. - Sometimes the garage will not open or close all the way, mostly because the screws need to be adjusted for the automatic garage door to function correctly. You can try adjusting the screws, and then checking to see if the malfunctioning doors are operating correctly. If your automatic garage door is broken, it is recommended that you contact a professional technician for service and repairs. Overhead garage doors function by use of an overhead operator, which uses a motor, chain, or belt, to pull or roll the overhead automatic garage door. Proper preventative maintenance is essential in order to keep your automatic garage doors functioning correctly and keep you free from costly repairs later on. Forgetting to have your annual service can lead to having expensive repairs in the future. Costa Mesa has one of the highest volume regional shopping centers in the nation, and a rise in over 16.9% in property values over the past year. Keeping your overhead garage door maintained will keep more of your money in retail shopping and out of those costly property repairs. Overhead automatic garage door repairs can be quite meticulous, and tend to have many different components in the overall system. They can easily be repaired safely by a professional team, but can be quite dangerous to the untrained eye. Strange sounds, broken cable, and broken safety features, are all good reason to call for professional overhead garage door repair technician for service. Many choose to attempt this dangerous job on their own, but many do not consider the real dangers associated with overhead garage doors. Sometimes there is no real issue concerning the automatic garage door operator, but only an issue with the wireless remote that was provided with your automatic garage system during installation. Many minor issues can arise with your wireless remotes and keypads, so here are a few tips to help troubleshoot your automatic garage door openers. - Many times when the batteries get low or die, all you need to do is replace the old batteries with newer ones in order for the remote to return to normal functionality. Remove the back panel of your wireless remote, and replace the batteries in the wireless controller, this should help in repairing automatic garage door openers to normal functionality. Be careful when changing the batteries and make sure you do not press any additional button in the process or you could accidentally recode the wireless controller. - Sometime your neighbors can program their unit the same as yours, and this can cause signal interference with your automatic garage doors. There are dials inside the remote control itself, that control what code the remote I set to. The main operator is also controlled by a similar dial within the operator. If these codes are not set up identically, the remote control unit can fail to work correctly, as long as both of the units are powered correctly. Confirm or change the code to see if this eliminates the inference issues concerning your automatic garage door. - If you have tried the steps above and you are still needing help repairing your automatic garage door opener, you might consider just replacing the unit altogether. You can purchase a new controller for the original manufacture or a third party controller usually available at most hardware stores. - If you still are not able to get your wireless controller to function correctly, you might need to change your logic board in order to get your automatic garage door to operate correctly. The logic board controls the radio receiver on the operator unit. You will not receive a signal from the wireless remote controller if the logic board is not operating correctly. Replacing the logic board is the last step to try before you have to replace the operator altogether. - In the event that all else fails and you still are not able to get the operator to function correctly, and you tried our troubleshooting tips as well, we recommend you replace your operator unit. Replacing the operator unit will fix the problem, but can be expensive. You must determine if you want to attempt to repair the unit before replacing it. Automatic overhead garage doors can provide ease of use for many. There are many commercial and industrial applications and terms used to describe these different overhead garage doors for specific functions, but all serve the same overall purpose. Access control to your warehouse, dock, pedestrian doors, and parking garages can be pivotal to ensuring the overall security of your establishment. Our local city of Anaheim had 42.9 million tourists last year alone. They also had a crime rate of 258.9 %, which almost rivals that of the national average of 301.1. With millions of tourists roaming our fair streets, this only adds more reasons to secure your property with a functioning automatic garage door. Here are some of the benefits of having an automatic garage door. What are the benefits of an automatic overhead garage doors? - Thinking of those days before automatic overhead garage doors can be a nightmare. The added dangers and work associated with getting in and out was bound to place extra stress on your back. Thank goodness we have an easier solution these days for storage and property protection. - Overhead garage doors are very durable and provide great resistant to weathering and climate changes. Even the lower end models can last about 5000 open and close cycles, which is about 7 years’ worth of use if opened and closed twice a day. - It is easy to maintain automatic garage doors as they require very little maintenance, but they must be washed periodically to work functionally for years to come. - Adding an automatic overhead garage doors is pretty much the standard now for new or renovated homes. They add elegance to a home; provide ease of use for new homeowners, and make everyday life that much easier. Although some doors can be pricey, our nice automatic garage doors are affordable and can really make a statement. - Most new automatic overhead garage doors have many safe features, which make choosing this option pivotal for new or expecting parents. With young children at play, it is always better to be safe than sorry. - One of the great features about automatic garage doors is that they can meet all of the spacing demands need for the many different designs homes can come in. You can have multiple doors or one large door depending on the weight and material chosen. Although some features may be more expensive than others, they can also add luxury and beauty to your home. No matter what your problem is, there are service technicians waiting to help you with any problem that could arise. Please do not hesitate to a professional to help you answer your questions.